It has been even busier than usual over the past two weeks in Brighton Business School’s Industrial Placement office. On top of the many visitors and enquiries the office usually receives, students, staff and alumni have been popping by to see one team member in particular. 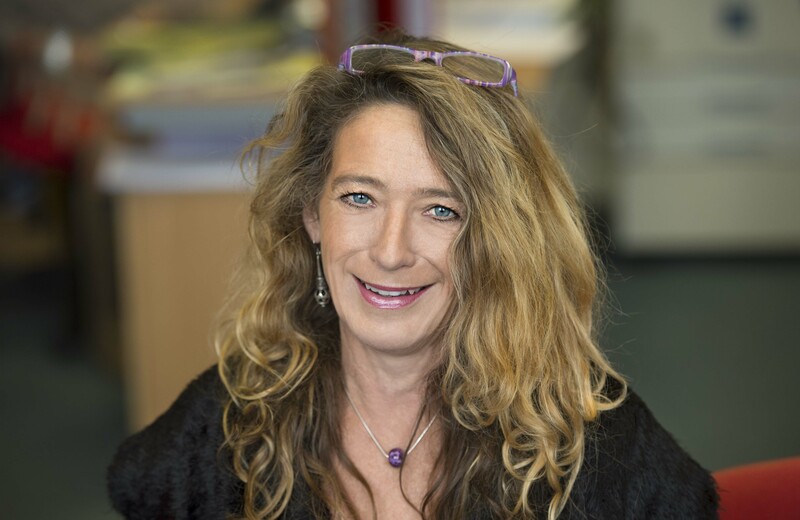 Virginia Goodwill, Industrial Placements Officer, has worked at Brighton Business School for twenty years. Virginia and the placements team are familiar faces around the school. The office has an open door policy and supports students to prepare, apply for and complete their salaried work placement year. Virginia’s contribution to the City of Brighton & Hove reaches beyond the university too. To recognise this, Virginia has been honoured by the queen for her services to the community and has been awarded a British Empire Medal (BEM) in the 2015 New Years Honours List. We asked Virginia a few questions about her award and her role at Brighton Business School. What has your new year been like? ‘It has been totally mad – and exciting. I feel so humbled for being recognised for something I love doing so much and derive so much pleasure from and I have been overwhelmed by the messages and visitors offering congratulations. I had no idea everyone would be so interested and want to say thank you all so much. What is it like in the placement office? We get to know each student individually and we always try to help, whatever their needs are. We have an open door policy in the office and keep in touch with students out on placement by phone and email too. When do you meet students and how do you work with them? We meet students in the first year when we introduce the group to how salaried placement years work . Then at the start of the second year, each student who wants to go on a placement has a one to one meeting with myself or a member of the team. We look at building a CV and application forms, find out what kind of placement students are interested in and recommend what sort of placement could best fit their needs and aspirations. We then help throughout the application process, whether that is with application forms, doing mock telephone interviews or preparing for in person interviews. We monitor students throughout their placement year, sort out any problems and hold two placement conferences which students attend. A member of academic staff also visits students in their place of work. I enjoy meeting all our students and seeing them learn. Placement companies offer such a wide range of experiences and on top of earning a salary our students learn a lot about the type of career they want to pursue. When students return from placements they are professional business people with experience. We keep in touch with lots of our students after they graduate too, It is great to see the varied and interesting careers they go into. Many of them go on to host or work with our placement students, which is so positive and always makes us proud! What type of companies and roles are placement students working in? The short answer is lots of different ones! Over 130 of our undergraduate students are on a salaried placement year at the moment, so between them they are working in a lot of different companies, locations and roles. A few example companies from this year are Sussex Police and Southern Water, L’Oreal and IBM, Goldman Sachs, American Express, Porsche, Disney, The Body Shop, Quality Solicitors and Xerox. Roles include – marketing assistant, international supply chain assistant, HR assistant and trainee manager. You can also read about the placement experiences of some of our 2014 graduates. Some of our current student placement students are going to be blogging about their roles too, so watch this space for more information. Tagged Careers, CV, employment, Industry, Meet the team, Paid, Placements, Undergraduate. Bookmark the permalink.